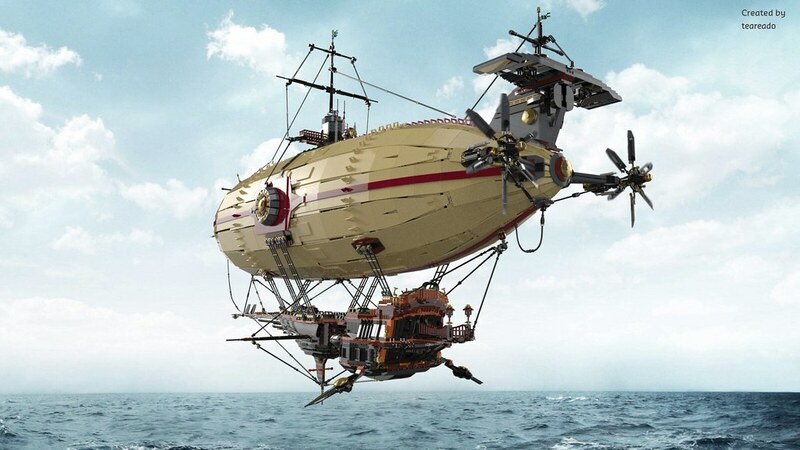 I have a passion for Airships. I really don't know where it started but any time I see some anachornistic floating galeon-esque type vessel I just get a little giddy and daydreamy. 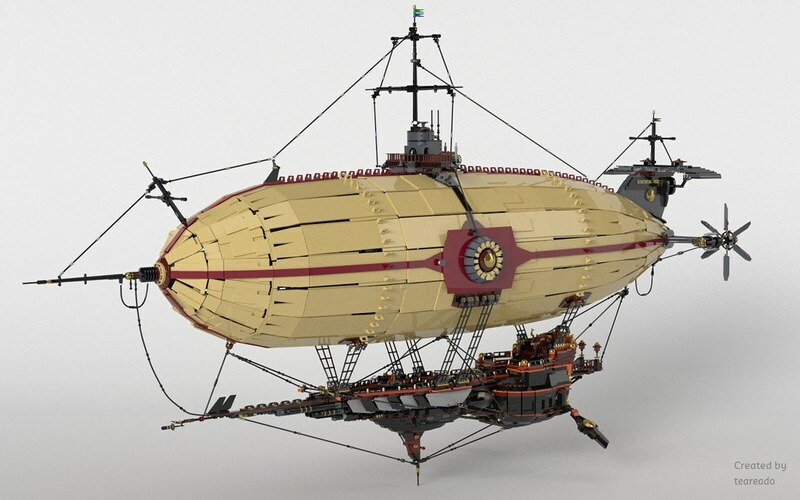 This "Cloud Ship" by Teareado is one of the most amazing airships I have ever seen in LEGO and it is a pleasure to share it with you. Teareado has made the LDD for this airship availble for download and to be sure, this is rendering so the "build" need not actually support its own weight..but I have been toying with a brick built Airbag like the one depicted for a while and hope to one day to actualize something similar. Thanks to Nachapon for posting this image. 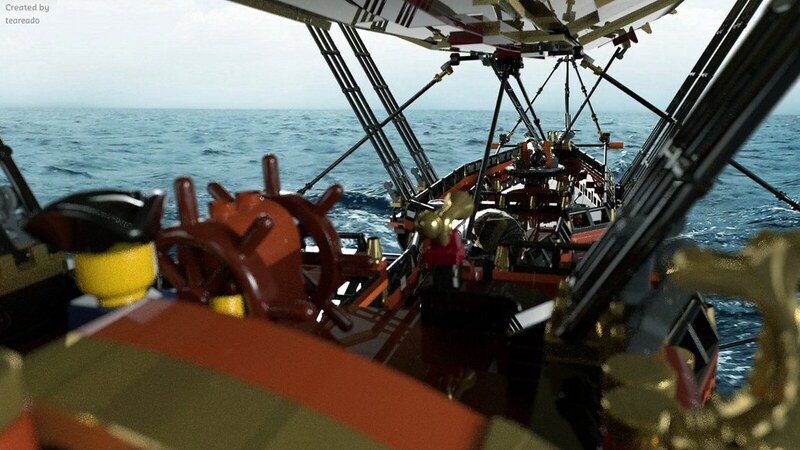 Nachapon is one of most prolific and skilled LEGO renderers out there. His portfolio is quite impressive and certainly worth the time to check out.